The Second Law of Thermodynamics states that entropy must forever increase. And what is entropy? Entropy is sameness, homogeneity, lack of structure. Entropy is as boring as a bucket of sand without the bucket, which, by the way is a very high entropy system. But take that same sand and make from it a beautiful glass vase or a semiconducting transistor and voila! you got yourself a very low entropy object. Wait! you say. Isn’t entropy always supposed to increase? How then did the high entropy sand become the low entropy computer chip? Well, there is a caveat to the law. Entropy must increase unless energy is added to the system. Fusing the silicon oxide and making it into glass or a semiconductor is a highly energy intensive process, one that also requires a high level of skill and ingenuity, which are after all, nothing but transcendent forms of energy. It turns out that the second law of thermodynamics applies to human systems as well. The finest empire, the most innovative and creative of republics are born from boring high entropy societies where almost everyone is equal and nothing ever happens by the endless toil, sacrifice, and ingenuity of people like George Washington. And then they always decay back to high entropy societies like the socialist ideals of Cuba or Venezuela. There is a reason why socialist and communist societies produce the ugliest, most drab architecture and substantially stop producing art. Before it became communist, Russia was the shining beacon of artistic creativity. Since, it has produced nothing at all of artistic value. Art is the quintessential lowering of entropy. High rise cookie cutter tenements are entropy traps. The Romans had a succinct and beautiful name for this law of eternal decay, “sic transit gloria mundi”, they called it, “thus passes the glory of the world”. And it always does. It passes, because eventually we get tired of putting in even the minimal energy that is required to fight off decay and maintain what our ancestors had bequeathed us. And then, rot sets in. It sets in in our hearts and in our minds, just like it is now making itself at home in one of the lowest entropy systems ever built on our planet, the Western civilization. Nature has many mechanisms to increase entropy. Leave a bit of moisture under your rug, neglect to keep your basement dry and all of a sudden bacteria, lichen, fungi, and mold all go to work and increase the entropy of your house until it’s nothing but a small pile of soft brown mulch. There are humans out there who are the equivalent of these agents of decay we collectively call rot. They unfailingly appear when human systems are left to fend for themselves, when managers and commanding officers neglect their duties, when people who swore to put in the necessary energy to keep things running, decide to mail it in instead. This is how a deeply disturbed young man by the name of Bradley Manning gets first drafted into the US Army and then, with the rank of private, is allowed access to reams of secret information without the least shred of supervision. This is how soldiers are allowed to put their darkest instincts on display in military prisons for all the world to see. And when that happens, rot sets in. People like Manning and Assange, marginal people, people that no one would ever pay the least attention to just like no one ever notices mold until it is too late, get to work. They steal confidential information, they publish it, they demolish the systems within which they function, they act, in other words, as agents of decay; they are servants of the Second Law. Just because the consequences of their actions often become so acute that corrections are attempted, energy is put in, and entropy finally begins to decrease again, we cannot and should not see in the actions of Assange and Manning the wholesome and lawful actions of people who serve the forces of order. When you walk into your basement and notice that a piece of drywall is covered in mold and mildew, you do not consider these micro-organisms your friends; you do not wish them well. Even though the visible manifestation of their labors causes you to cut out the infected piece of drywall and replace it with a new one thus saving your house from becoming uninhabitable, you do not change your opinion as to the destructive nature of rot. Assange, Manning, and people like them: the traitors, the double agents, the provocateurs, the mountebanks, the dishonest public servants and politicians are the mold, the mildew, the rot of human society. They work in the shadows until the effects of their efforts become visible, and then it is often too late. We try to manage the infestation, control it, isolate it, but more often than not we treat the symptom, not the cause, and having satisfied ourselves with cosmetic fixes of the visible damage, we allow the much more pernicious invisible agents of decay to continue their work of destruction. Has the US Army reviewed its recruiting standards in the wake of the disaster that was Manning? Have they tightened their supervisory procedures for who gets access to highly classified information? Maybe, but I highly doubt it. The underlying causes that allowed Manning to do what he did have not been fixed and that means that many more Mannings are now, as we speak, passing classified information to America’s enemies. Assange is now under arrest and is likely finished one way or another, but his persona appeals to the modern counterculture, a counterculture that is essentially nihilistic and thus sets as its very goal destruction and entropy growth. There can be little doubt that thousands of Assanges are now huddled over their screens, hacking, communicating with thousands new Mannings, sticking it to the Man, bringing down what their parents and grandparents had so painstakingly built. The fall of the low entropy Roman Empire marked the beginning of centuries-long high entropy period known as the Middle Ages. A full millennium passed before Europe, or anywhere else in the world, enjoyed the standards of sanitation, transportation, and public safety that existed in Rome. The Western World is sinking. It is taking on loads of entropy with every passing day and, perhaps uniquely in history, it is doing so willingly and even gleefully. The twin entropy bombs of diversity and socialism are exploding around us and most are cheering them on. Denizens of the late Roman Empire, as has been widely recorded, bemoaned their own laziness, cowardliness, and penchant for inviting migrants to whom they could outsource everything form farming to war fighting. They fondly remembered the founders of their republic, the brave, tireless, and headstrong people that made Rome the wonder of antiquity. They knew that they were not worthy of them, they just didn’t have the will to change. We, on the other hand, are tearing down the statues of our founders, taking their names off of our public buildings, and vilifying them in every way possible. Our ship is sinking in a sea of entropy. Warnings in the shape of Assange and Manning and so many others abound, but most of us are cheering on our own inevitable demise. Some excellent thoughts and wisdom. This is why it’s Christ Kingdom or the “end of all flesh”. Bible makes it very clear. Fact: The Army was breaking the law and lying to the American people. Manning did as he was supposed to do. He utilized his chain of command first. Only when his chain of command told him to shut up and tried to sweep the whole mess under the proverbial rug, did Manning leak all of the evidence to Assange, who heads Wikileaks. Manning’s chain of command failed him and broke the law. Manning’s first Oath is to the Constitution, not the Army. Fact: Wikileaks releases information on corporations, governments, and powerful individuals who break the law, and commit immoral acts. These are entities who would otherwise get away with crimes and lies, and should have the light of day shine on those acts and be held accountable. The Army was one of those organizations. The spotlight from Wikileaks has also shone on Russia, Ukraine, China, the “Church” of Scientology, Kenya, Iran, Hillary Clinton, Bank of America, and many others. 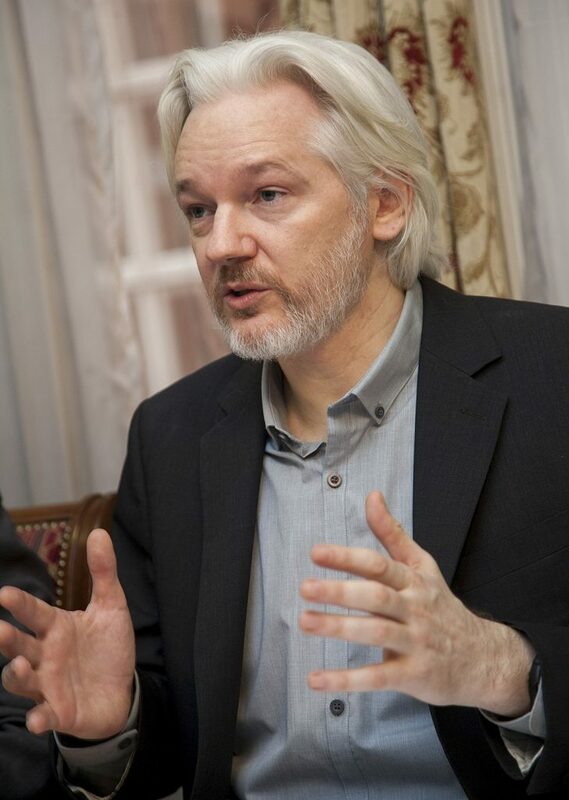 Assange is not a U.S. citizen and has no reason to be loyal to the U.S. If there was entropy, it was with a military trying to do business as usual in a world that has changed. And with people who try to cling to those tactics as well. You cannot support the the Constitution and the 1st Amendment and condemn Manning and Assange. AMEN! You speak the TRUTH! Interesting commentary, but does not address the other side of the coin, where entropy has already set in to the system and the internal structures are already decaying. The leadership had already betrayed their charge from the republic to conduct state affairs in an ethical, competent & accountable manner. The people embarrassed by the release should have been brought to justice, with or without this release. Instead, they they had a rough PR day. One the leaders of the system honorably fulfill their offices, I will be inclined toward a much harsher view of the other scum who brings it to light, otherwise “the moldy drywall” did us a favor by making us inspect the decayed “bones” of the house. The Jews made a deity of the law which, after all they wrote it, so they were deifying their own works. Christ made NEW by telling those who would listen that the law was in their hearts (i.e. the spiritual spark of divinity is in each and every one of us). Like any organized religion, Christ represented a heretic to the Jews hold over the people so he had to be killed and kill him they did. And explain to me how Clapper and his ilk get exposed without these leaks? They system is broken and needs an overhaul. I wonder what was said about the first revolutionary patriots some 250 years ago? Think about the Pentagon papers. How many lives were lost or destroyed before there release. In our case, I’m glad Assange released Intel we would never have gotten. He has blown the whistle in particular on the traitor Obama and Hillary Clinton.